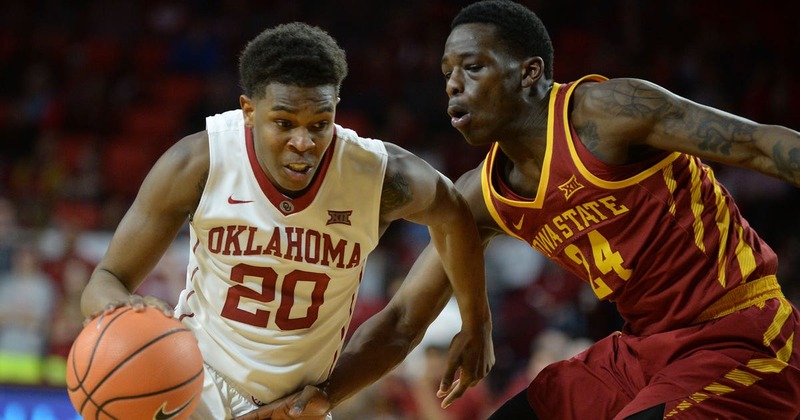 MIAMI (AP) — Guard Kameron McGusty is transferring to the University of Miami after two seasons at Oklahoma. McGusty announced his decision Monday on Twitter . He averaged 8.0 points in 32 games last season, including eight starts, and averaged 10.9 as a freshman, when he started 17 games. The native of Katy, Texas, will be eligible to play for Miami beginning in 2019-20. Last week, guard Anthony Mack said he was transferring to Miami. Mack didn’t play as a freshman at Wyoming last season.